Читать рецензию на альбом "'Nordheim'" группы "GJALLARHORN "
Waylander was formed in 1993 by brothers Cнaran and Dermot O'Hagan. The initial idea was to play Metal in the 80s-style, but by total coincidence, the first song that was written had a distinctive Celtic sound to it, this becoming Waylander's trademark-sound for the future! This first song, ``Born to the Fight``, is to this day the most requested song by fans at Waylander's gigs. Many members were auditioned over the coming months before the first steady line-up of Cнaran O'Hagan (vocals), Dermot O'Hagan (guitars), Den Ferran (drums) and Jason Barriskill (bass)recorded the debut demo, ``Once Upon an Era`` in late 1994. This demo received excellent reviews throughout the worldwide Metal underground scene and this, along with the many live-shows played throughout Ireland, established Waylander as one of the front-runners of the expanding Irish Metal-scene. In late 1995, it became clear that Jason didn't have the same commitment as the rest of the band, so he was removed and within a few minutes was replaced on bass by Michael Proctor. It was with this line-up that ``Dawning of a New Age``, the second demo, was recorded and released in early 1996. The sound on this demo had greatly evolved, helped by the use of the Irish traditional-instrument the tin-whistle and it was obvious that Waylander had created something totally original in a scene which had been overflowed with run-of-the-mill Black Metal and Death Metal bands. Shortly after the release of ``Dawning of a New Age``, Waylander realised that a full-time tin-whistle player was needed to progress any further, and at around the same time they met up with Mбirtнn McCormaic (editor of Metalworx Magazine) at one of their gigs, a new friendship was formed and a new chapter in the life of Waylander was written. Over the next 2 years, Waylander played many gigs throughout Ireland, Scotland and England, and by this stage they had built up a fairly impressive fan-base, including Century Media Records who decided to sign the band. In January 1998, Waylander travelled to Germany to record their debut-album with renowned producer Andy Classen (Rotting Christ, Asphyx, Holy Moses, Richthofen, etc.) at his Stage One Studios. ``Reawakening Pride Once Lost`` received excellent reactions and reviews worldwide, and led to Waylander being top of the playlists on many international radio shows for some time. 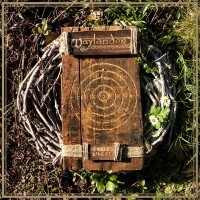 The CD contained 11 tracks, ranging from full-throttle Metal to mellow Irish traditional music to something inbetween, and included Waylander's own version of the 2000+ year-old Irish tune ``King of the Fairies``, which is widely regarded in Irish music circles as one of the best versions of this tune ever! In 1999, Waylander realised that they needed to add a second guitarist to the line-up in order to add more power and influences to the band. This was when Peter Boylan, a member of Waylander way back in the pre-demo days was taken on board. Waylander signed with Blackend Records and released their, The Light, the Dark and the Endless Knot, album in early 2001. Again internal strife reared up, culminating in numerous line-up changes for several years. Despite this Waylander managed to perform some notable gigs, including Bloodstock Festival, Day of Darkness festival, as well as gigs with Ancient Rites, Cathedral, Return to the Sabbat and Skyforger. 2005 – Joining original members, ArdChieftain O’ Hagan [ vox] Michael Proctor [ bass ], and Den Ferran [ drums ] are Saul McMichael and Gareth Murdock on guitars. An album’s worth of material is nearing completion. The plan is to record an album in 2006, with European gigs and tours already in the early planning stages. 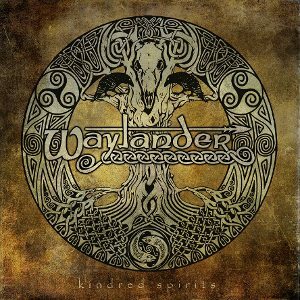 Waylander’s debut album, Reawakening Pride Once Lost, has be re-released by Midhir Records on Cd and a forthcoming vinyl. Группа, о которой уже не раз заходила речь в разделе, но упоминалась она как-то вскользь. Альбом 'Reawakening Pride Once Lost' представляет собой энергичный фолк метал, местами музыка очень похожа на Круаханов, только harsh-вокал используется значительно чаще чистоголосого пения, да и гитары будут пожестче. На меня помимо всего прочего произвели сильное впечатление инструментальные композиции - кельтика в чистом виде. пока скажу лишь, что этими товарищами вдохновлялись Heol Telwen и Eluveitie Так что стоит оценить хотя бы для общей образованности. в основном темы из древнеирландского эпоса. Всем любителям кельтского металла(и фолка) Waylander настоятельно рекомендую. Эти прекрасные мелодии не оставят вас еще очень долгое время.Аналогов нет. Второй альбом на мой взгляд более скучен - в нём фолковых мотивов в самом деле в разы меньше. альбом потенциально стоит как Мессершмит. Будем ждать - и надеяться на лучшее! Че-то для меня слишком брутально. Это, конечно, ИМХО, но наваять кельтских ходов не так уж и трудно. Зато оригинальных мелодий маловато. Да и чистого вокала очень мало. я бы сказал, что тута есть что-то думовое, ибо затянуто неимоверно и скучно как-то..
с удовольствием подписываюсь под этими словами! Новый опус прилично впечатляет Чувствуется ядрёный порох в пороховницах. 16 июля 2012г. группа выпустит свой четвертый лонгплей с названием "Kindred Spirits".